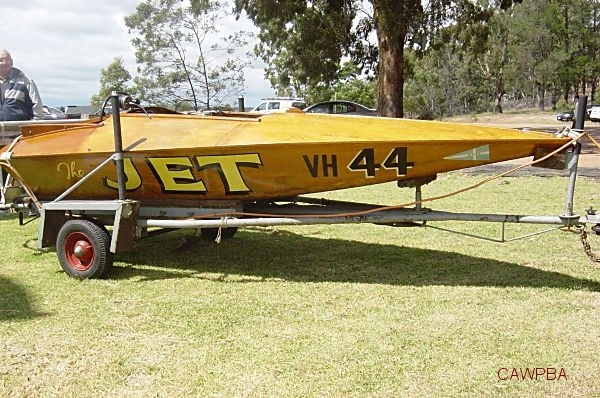 The JET is a late 1950's skiff originally owned and raced by Jack Kenner. 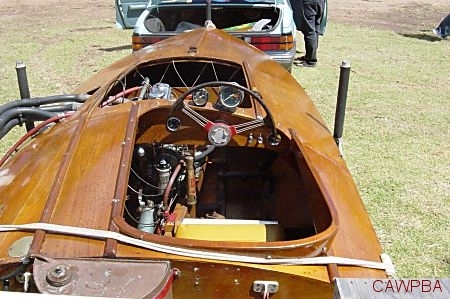 During its heyday, the boat held over 20 speed records and race championship certificates. 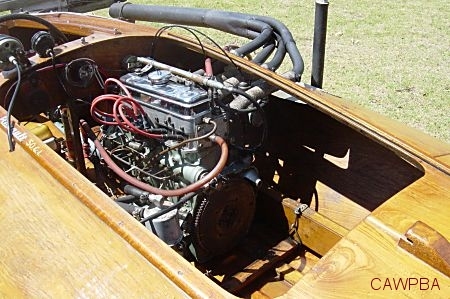 The 12 footer is still very original, right down to its Renault 800 cc four cylinder engine. The boat is generally in excellent condition. After being out of the water for about three decades, then owner Peter Alexander decided to give the boat another run in early 2005. Although the boat did not run well on the day, with a little bit of tweaking and using different fuel would probably see the boat running a lot better next time. The JET was sold in 2006 and left Victoria for NSW.